This is the latest in make-up techniques. Let’s have a one-to-one with strobing. You must be listening a lot about this strobing these days. If you are familiar with the concept, then see my way of achieving it and if not aware, then lets know about it and understand it in easier way. Strobing is basically Anti-Contouring. While contouring helps you in hiding excess flab on face by face-narrowing and cheek bone enhancing, strobing is simply opposite and easier as it highlights your best features by reflecting lights and doesn’t require all those ever blending skills. 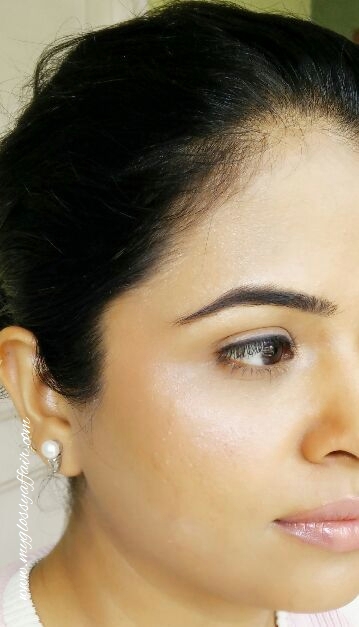 While contouring requires bronzers or darker shades foundations and lots of blending to not have those harsh lines as end result, strobing requires reflecting makeup – illuminating powders, highlighters , tinted moisturizers and most importantly, a fresh and dewy canvas for painting yours face 🙂. If your skin in not that perfect and flawless, achieving matt bronzed , goddess look is easier according to me as you can add layers and cake on products. – we can’t add that much layers to hide skin imperfections as her skin has some acne mark. – being extremely oily skinned, we need to choose products wisely and we definitely couldn’t go overboard with shiny products as in flat 5 minutes, her face would have turned into a disco ball 😉. Strobing is fine, highlighting is also fine, but shining disco ball roaming on streets is not a pleasant site 😛 Right !! So, how we did it . Let me tell you step by step with all the products used. Cleanse the face properly, so as to have a good canvas for start. Since, we can’t change the texture the skin over night, we went for scrubbing the face , followed by a clay based face pack to minimize the already shiny face. 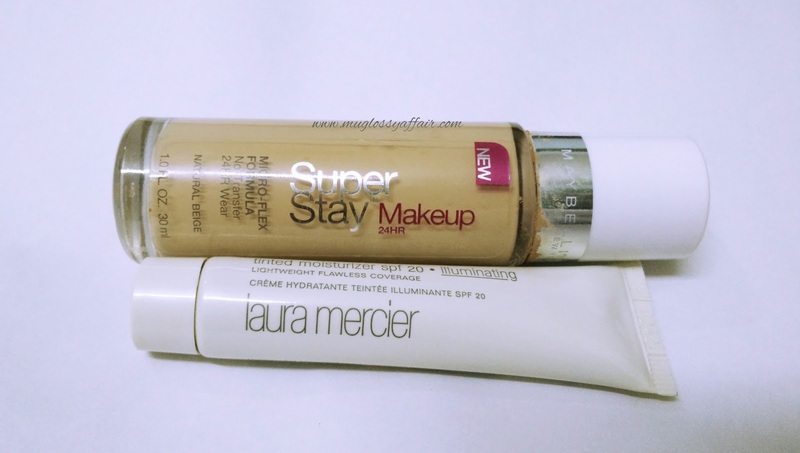 We started up with Laura Mercier tinted moisturizer mixed with Maybelline Super Stay Makeup 24 hr foundation in Natural Beige. OK. Shine was there , more than I ever felt comfortable with , but then, I was all open for strobing na !! 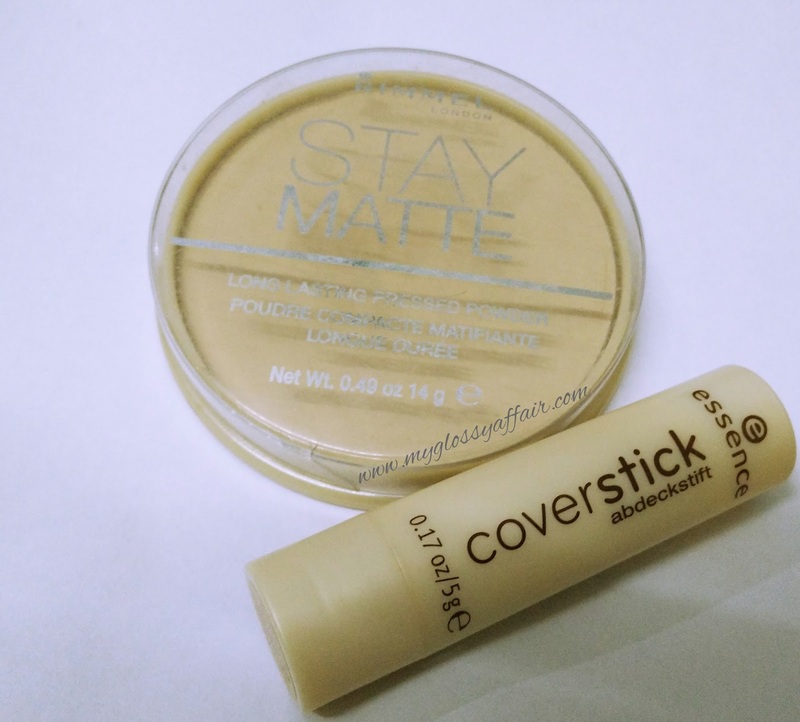 Applied Essence concealer. And then touched up the face with Rimmel Matt compact. Oh! I went wrong there. How could I use Matt compact for achieving that light reflecting dewy look? Wrong. Let’s go back to the previous step to undo this. 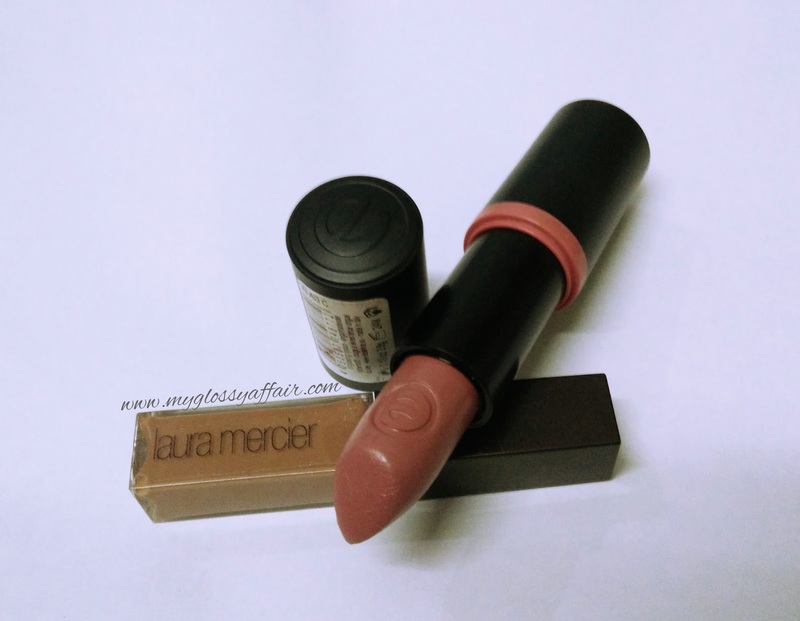 I touched up little Laura Mercier tinted moisturizer all over the face again. All set again :). Now, we went for eyes. Little base and thin eyeliner – Face of Australia. 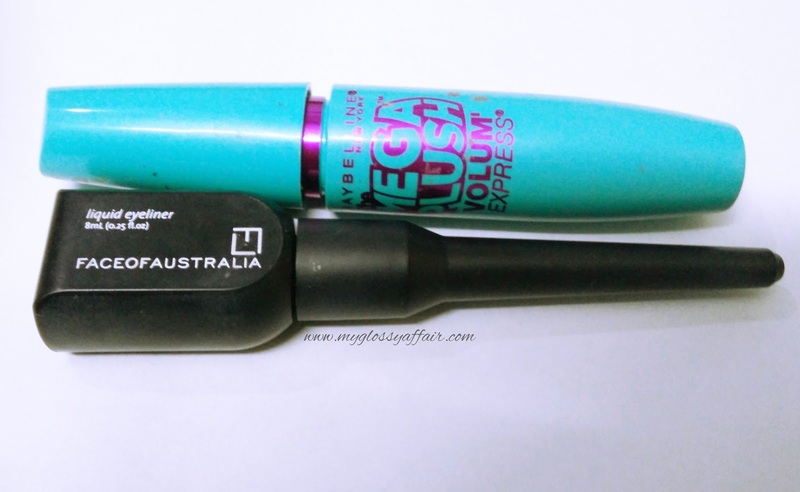 A touch up with Maybelline Mega Plush Volume Express Mascara. That’s all. I didn’t want to take the focus away from face. Ok. We all have some typical mindsets. I have mine. I can’t go on without a little defining. So, a little shaping of cheek bones and nose with dark colored Matt eye shadow from that famous Chinese 120 pro-eye shadow palette :). I know its not in strobing but I can’t help it gals. Forgive me 🙂. Then I took a shade from the Wet n Wild palette and put it on centre of forehead, nose, cupid bow, corners of mouth and below eyes and cheek bones. 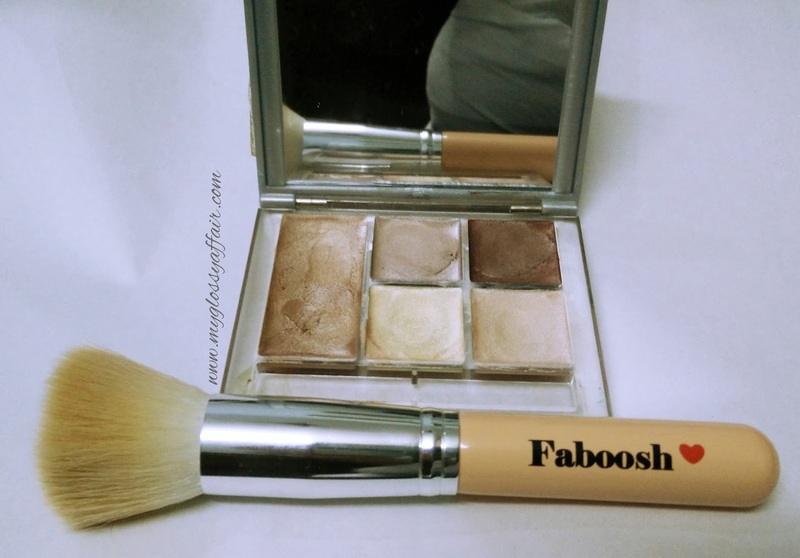 Then I took my Faboosh brush to spread and blend it. Wow! It started to look close to strobing ! 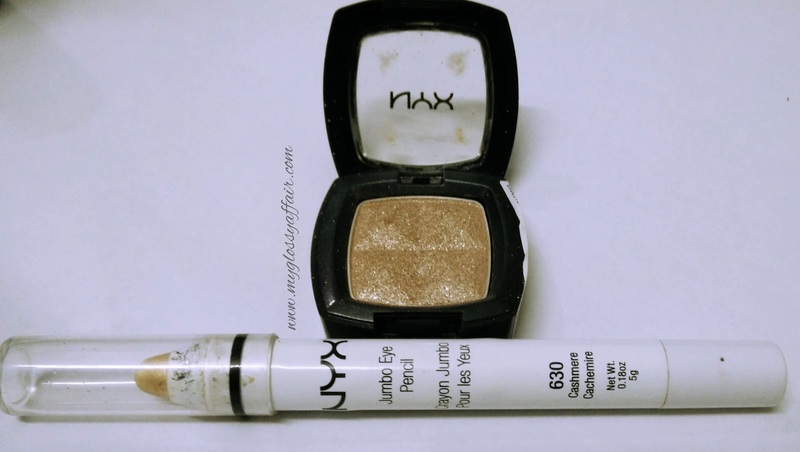 Then , I took the NYX jumbo liner in shade 630 for eyebrow and inner corner of eyes highlighting. All done and set now. Essence lipstick shade ’07-Natural Beauty’ on lips and Laura Mercier Lip Glace in ‘Bare Beige’ over it and Voila, all done !! I think , that’s all …… He He He . Never in our life, we oily sisters have used that much of reflection and highlighters Its rainy and humid here in Delhi. We both didn’t have any more strength for dressing up or hair. So a simple FOTD this time 🙂. But yes, it was easier and faster. 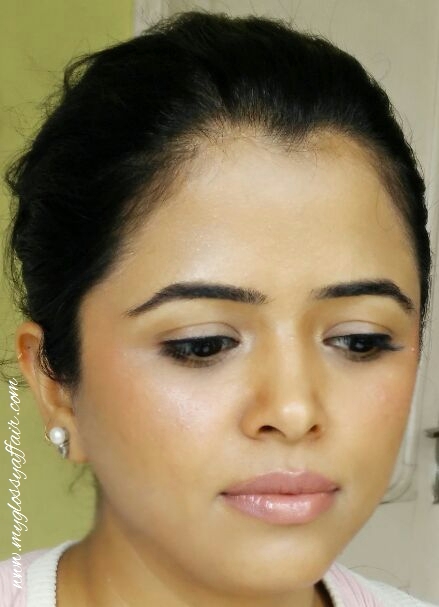 Highlighting without worrying about contouring was definitely easier and simpler . So, strobing gets a thumbs up from me. Right product can make this a hit among oily skinned beauties too. You just need to shed your inhibitions and go for strobing. Try it and you will love it. 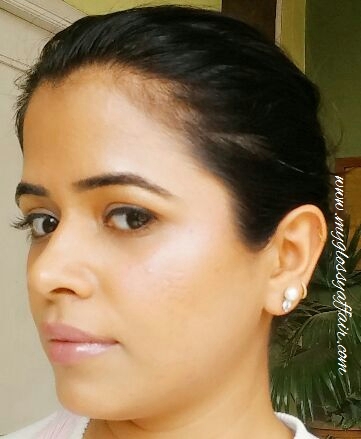 Do share your views and feedback on my version of strobing. I would love to hear from you all. Please do leave your valuable views . 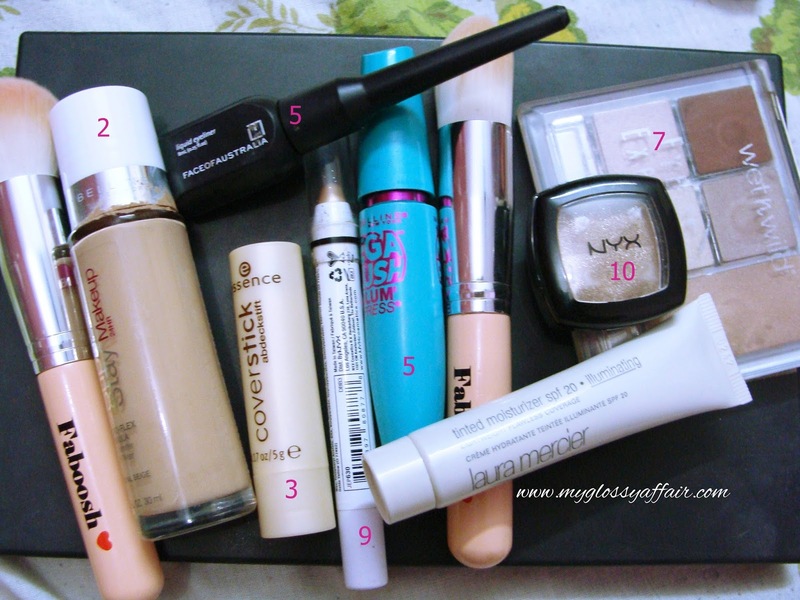 Highlighting without contouring sounds great and your tips are really helpful. Thanks for sharing. Great post!! I do not do contouring maybe because I'm clueless with that or the time lol, but it is a technic I see a difference great post. I love highlighters and shimmers. They makes the skin looks so fresh and youthful. Fab post! Thanks so much for sharing. Great post! I didn't know about strobing before reading this post! Never heard of strobing but do know about contouring. I love those products you have used for the nice fabulous look. 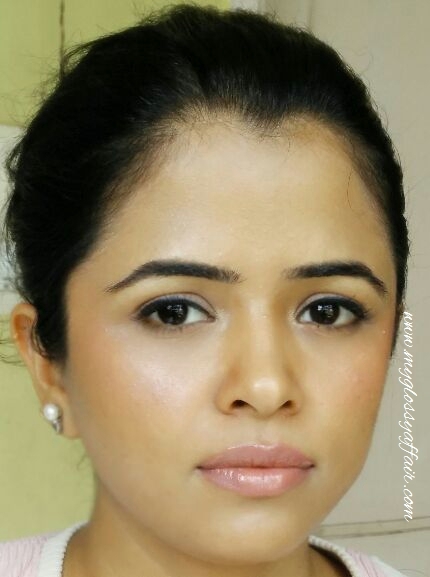 richa looks oh so gorgeous charu…. u explained it so well Charu. Totally loved this technique! Wow! Nice tutorial di. Would love to try, though need to choose products wisely. Interesting beauty products! Your make up is stunning! Very pretty. Really nice FOTD tutorial! Oh you look so beautiful, healthy and radiant! Love this makeup look so much hon! Very well explanation on the strobbing technique! The look is pretty!